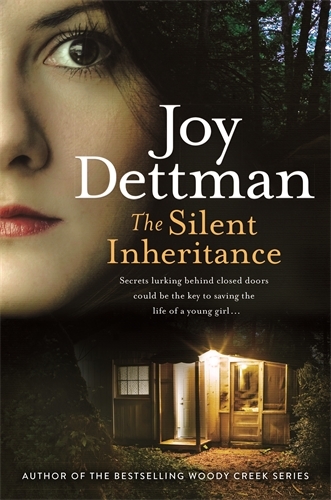 Joy Dettman delves into a world of crime in her latest novel. Over a wide cast of characters she manages to fit in a whole spectrum of crime and general meanness into a small space: from a serial killer through to a hit and run, perjury and drug dealing. The Silent Inheritance ranges across a large group of characters so it takes a while to get going. Sarah Carter, deaf since birth, is trying to get a promotion but is passed over for her boss’s mistress, Barbara. Freddy Adam-Jones is a criminal barrister defending the indefensible. And Ross Hunter is tracking down a serial killer dubbed the Freeway Killer by the press. And, because no book involving a serial killer is complete without it, there are the requisite italicised chapters from the Freeway Killer’s point of view. When Barbara’s daughter is taken by the Freeway Killer, Freddy does something unforgivable and Sarah comes into a windfall, their worlds start to shift. But in order to make the plot work, Dettman has to dial the coincidence factor up to eleven. Many of the characters are connected in ways that do not become obvious until late in the piece, others are thrown together (Ross meets Sarah and her daughter when he ends up sitting next to them on a flight to Perth). The coincidences mount and while there are a few red herrings scattered along the way, the tension comes from how these play out. Dettman brings little new to the crime elements of this novel. The serial killer subplot in particular, complete with the aforementioned italicised chapters and the plucky thirteen year old victim, have been done repeatedly and better by authors like Michael Robotham. Its resolution comes not from the procedural elements which are skirted over, but the blind luck that is associated with the myriad connections that drive the plot. The other crime elements, including the hit and run, are perfunctorily dealt with, used merely to bring various characters into each other’s orbit. Where Dettman really succeeds is in her characters and her descriptions of life in Melbourne, particularly from the point of view of a woman with a hearing impairment. Sarah’s tribulations, from her relationship with her daughter, to her love life and work issues, down to the patterns of her speech, are sympathetically rendered. She is the type of character that we don’t see often enough in Australian fiction. But Dettman should have found a better vehicle for telling these stories than this fairly clichéd and coincidence-driven crime drama.